Note: Balanced Fund categories include: Retirement Income, Conservative Allocation, Moderate Allocation, Aggressive Allocation, and World Allocation. This SGENX fund is currently managed by Matthew McLennan. He started managing this fund in September 2008. 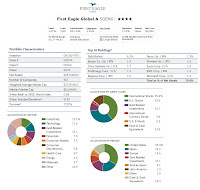 This First Eagle Fund was first introduced to public in April 1970. This fund has total net assets of $31.26 billion. This best balanced fund has annual expense ratio of 1.16% which is almost the same as the average in the World Allocation (1.20%). The 12b1 fee is 0.25% and the front end sales load fee is 5.00%. Investors of this fund get annual dividend of 1.37%. The most recent yield was distributed in December 2011 ($0.53). 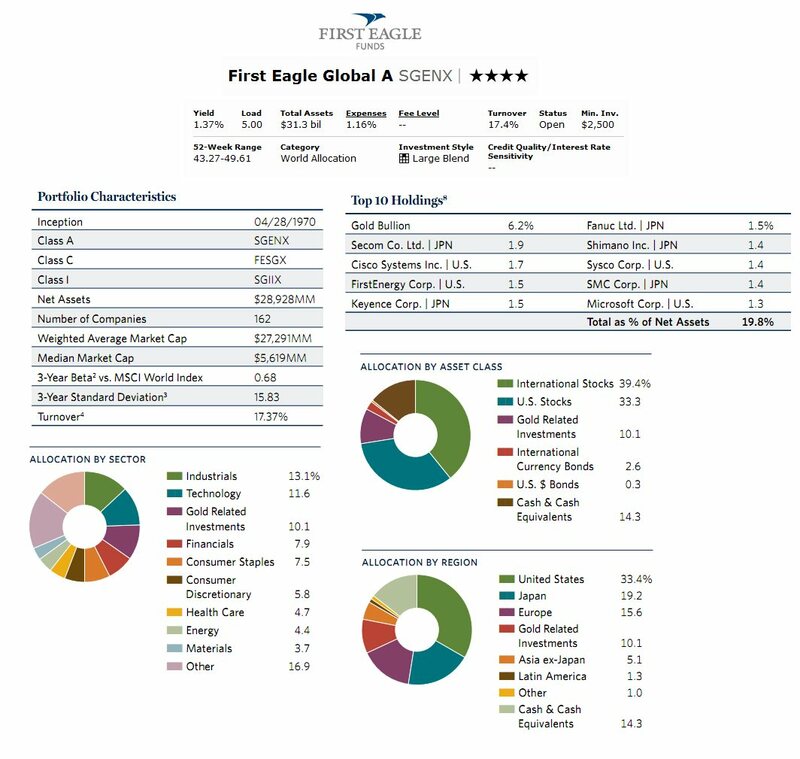 Morningstar gave 4-star rating for this balanced fund. This fund has recorded in 35 years of positive return and 5 years of negative return. The fund has annual holdings turnover of 17.37%. While the average in the World Allocation category is 135.04%.The best 1-year total return was recorded in year 2003 (37.64%). The worst 1-year total return was in 2008 with -21.06%. Based on the load adjusted return, this best rated fund has returned 11.92% in the past 10-year and 12.99% in the past 3-year. The minimum initial investment for this top hybrid fund is $2,500 for brokerage account and $1,000 for IRA account. The brokerage account requires $100 for the minimum subsequent investment. While there is no minimum subsequent investment for IRA account. There are 95 brokerages that provide this fund. They are Merrill Lynch, JP Morgan, Scottrade Load, Schwab Retail, Morgan Stanley Advisors, Pershing Fund Center, Royal Alliance, Ameriprise Brokerage, etc. Besides the Class A, this fund is available in Class C (FESGX) and Class Institutional (SGIIX). The top 10 holdings as of the third quarter of 2011 are Gold Bullion (6.2%), Secom Co. Ltd. (1.9%), Cisco Systems Inc (1.7%), First Energy Corp (1.5%), Keyence Corp (1.5%), Fanuc Ltd (1.5%), Shimano Inc (1.4%), Sysco Corp (1.4%), SMC Corp (1.4%) and Microsoft Corp (1.3%). The top allocation of this fund by assets class is International Stocks (39.4%) and U.S. Stocks (33.3%). The top regions are United States (33.4%), Japan (19.2%), Europe (15.6%) and Gold Related Investments (10.1%). Principal Investment Risks of this world allocation fund are Market Risk, Small and Medium-Size Company Risk, Foreign Investment Risk, Gold Risk, Credit Risk, Derivatives Risk, etc.